Google Chrome is one of our favorite browsers to watch movies and videos. Being the default browser for most of us, we will see a plenty of watchable resources on Chrome every day. But we can’t watch videos always at the right moment of seeing them and need to save them later. Can you memorize, note down the video URLs or add them to the read it later apps? This post shares the 6 best Google Chrome extensions to save and download the videos that you love. They support YouTube, Vimeo, Dailymotion, Facebook, Twitter, and many other websites. Find a video and decide whether to download or save for watching it later. Google recently updated their program policy and now prevents Chrome extensions from downloading YouTube videos. But you can add them to the video list as I said earlier. Video Downloader Professional is the most popular Chrome extension to download videos. It lets you add videos to your playing list and watch them on the desktop or via Google Chromecast on your television. The extension will create a video list for you where you can view all the saved contents and watch in any size without going to the original webpage. Video Downloader Professional also allows you to download videos from several web sources to your computer. So you can enjoy the videos anytime anywhere without connecting to the internet. Video Downloader professional is another video downloader extension for Chrome with the same name. It is free, and easy to use that helps you to download videos quickly. Being lightweight, you can download multiple videos at the same time. You can download videos from almost every website and save them directly to the hard drive. Video Downloader Plus is another extension for video lovers. When installed, it will add a black color down-arrow icon among the extensions you use. The icon will go blue if a video download is detected on the webpage. Click the icon to know whatever video files are available to download and at what size. It is a great tool to download both SD and HD videos and in various file formats. You can download videos from popular websites, video hosting platforms and save them on your computer. The Flash Video Downloader is a powerful tool to download flash videos from any website. It will automatically detect downloadable contents on a page and displays files in available formats and sizes. Download them to your hard drive and watch them forever. It is a popular video downloader for Chrome. You can download videos, audios, and flash with Flash video downloader extension. 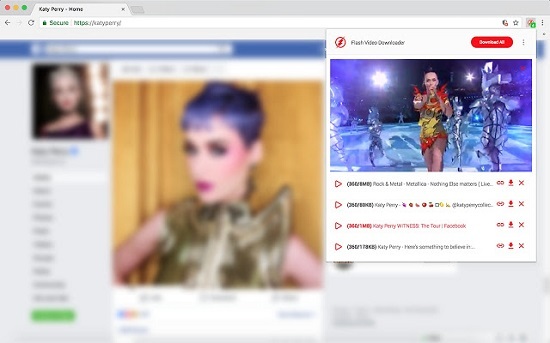 It is simple to use and automatically detects videos from your pages. On detection, you will see a color change in the browser icon. This is a fantastic extension to download Instagram images and videos. 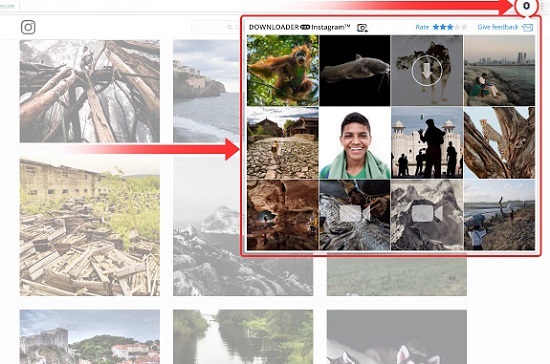 It will add a download icon on Instagram contents to quickly download each of them to your computer. Download all is another option that will be added to your Instagram menu bar to download everything such as photos, videos from the page. Downloader for Instagram is an essential plugin for the Instagrammers to supercharge their profile building experience and let them manage uploads and downloads right from the desktop.